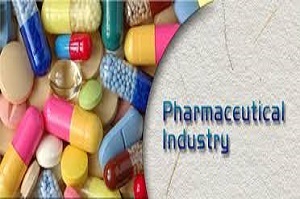 The pharmaceutical industry is in transition. Demand from big pharma remains strong, but the rising costs of drug development and the risks inherent in the process have led to a revolution in the venture capital-backed biotechnology industry. According to Forbes, investors are now experimenting with virtual research and development (R&D) models for drug development. Virtual R&D allows for leaner development teams that simply outsource as much of the drug development process as possible, limiting headcount and necessary resources. This allows costs to remain low and helps accomplish the key goal: gaining clinical proof that the drug is safe for humans and treats the intended disease. That, in turn, generates interest from big pharma, providing investors with a successful exit via acquisition or licensing options. As a result, it’s likely that virtual R&D will play an important role going forward. In order to implement a successful virtual R&D strategy, it’s important to ensure strong communication between all the parties involved. Often the information being shared is proprietary in nature, limiting the options for disseminating data without compromising its security. A virtual data room (VDR) offers one possible solution for keeping R&D secure, while allowing for sophisticated yet simple information sharing. Many of the tools that come built into a VDR are a natural fit for virtual R&D. For example, indexing capabilities make it simple to sort through research data and quickly evaluate progress. And permission-based user roles allow the account administrator to quickly and easily grant off-site teams access to necessary data, while also helping protect that information by limiting what they can do with it. A virtual data room is useful for more than just virtual R&D; it can also be a valuable tool during the acquisition process. Due diligence is much easier when the necessary parties can access confidential information both remotely and securely. And ensuring secure knowledge delivery after a buyout or for licensing purposes requires just a few clicks of the mouse, allowing acquirers or licensees access to the information they need about a drug and the research behind it. Virtual R&D appears to be the future for the pharmaceutical industry; how are virtual opportunities impacting your business? Let us know in the comments.